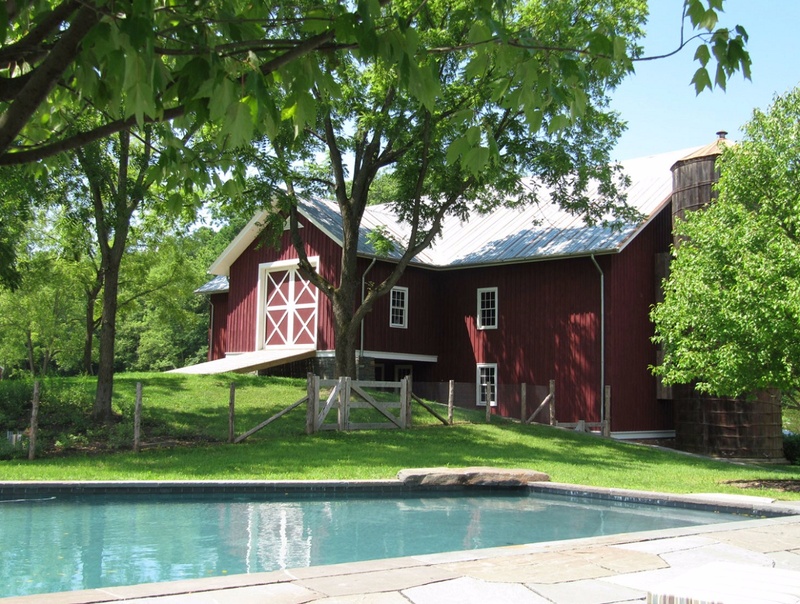 One end of the pool’s enclosure is offset by the red barn, complete with silo and feed shed. 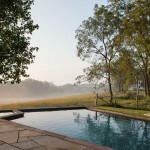 The rest of the pool looks out to the horizon and surrounding hay fields in an infinity pool-like way. 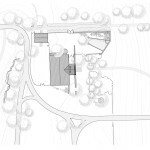 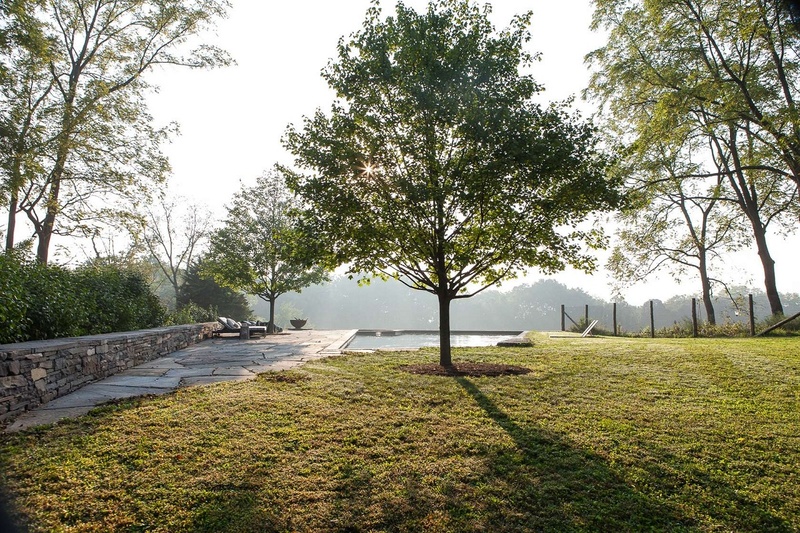 In its corner is a small hot tub area, outlined by another bold, geometric shape. 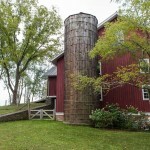 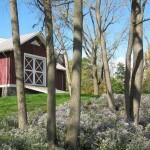 Other elements that are in keeping with the property’s rustic feel are a fieldstone wall and long hedgerow of lilacs. 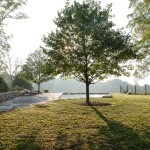 On the other hand, trees are planted asymmetrically, a match for the uneven shape of the pool. 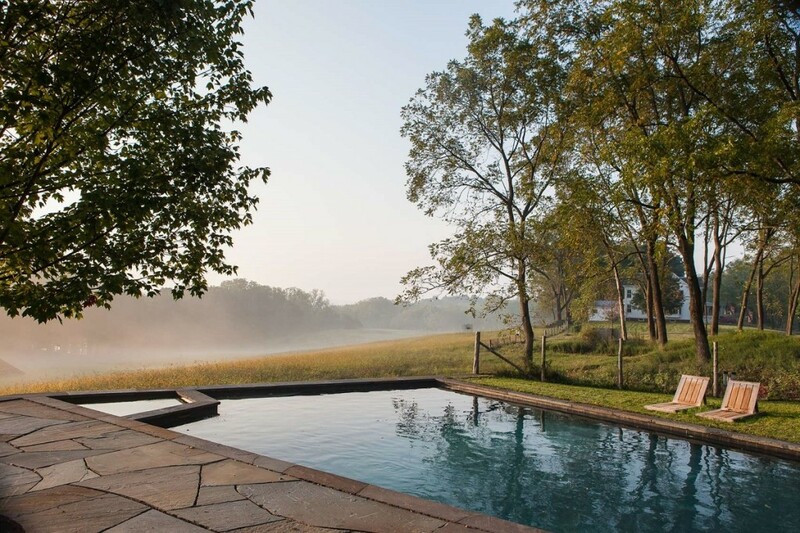 Explore more of Susan Wisniewksi Lanscape’s designs here.